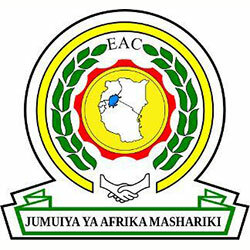 A positive balance of trade is registered by Tanzania in its trading with East African Community (EAC) member states like Kenya, Rwanda, Burundi and Uganda, last year. The steady growth and trade surplus reflects the bright future of Tanzania within EAC member states. The provisional data for 2013 shows an 82% rise in the export value of Tanzania amounting to US$1120.1 million, whereas, the import value for the state decreases by 39.5% amounting to US$378.10 million. The export goods cover Ship and boats equipment, fertilizers, electrical equipment, machines, paper and textiles, cereals and oil products/their distillations and, the import products includes electrical machinery and their spare parts, spare parts for motor vehicles, cooking oil, cereals, packaging materials and soaps. Mr. Samuel Sitta, Minister for East African co-operation, said that the trade surplus indicated the sustainable growth of the industrial sector which was a result of positive response of the traders of Tanzania towards availing opportunities under EAC customs union. As per the Chairman of Confederation of Tanzania Industries (CTI), Dr Samuel Nyantahe, this growth is stimulated by the increase in Foreign Direct Investment. He added that in order to sustain this trend and make Tanzania the best destination for investment, the challenges in infrastructure and doing business, need to be addressed properly by both the private and government sectors. Tanzania slipped twelve steps in the overall rank on “Ease of Doing Business” by World Bank and IFC (International Finance Corporation). Tanzania is trying hard to improve its business environment as it is depicted as most unfriendly in East African region.